Download a copy of our detailed booklet with helpful tips, suggestions and what you should know before beginning a home paving project. Discover why B.R. 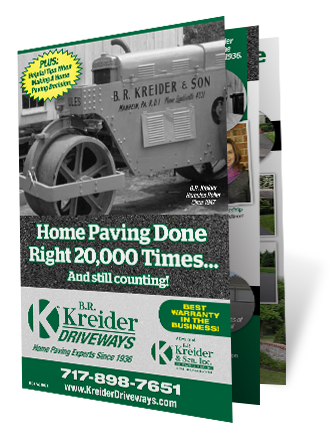 Kreider Driveways is the #1 choice for driveway paving solutions for residents throughout Lancaster County and Central PA.